The Keepers House, accomodating up to 6 people, has a wonderful position in the high hill country between Dunkeld (7 miles) and Blairgowrie (11 miles) and was formerly the home of the Gamekeeper who tended the wildlife on this large private estate. Just over an hours drive from Edinburgh and accessed via the fast A9, A923 and then 3 miles of private road to the door. the location truly is a perfect balance of accessibility and remoteness. The cottage stands, detached, backing on to a wooded hillside, it has its own fenced grass garden to the front and larger garden at the rear, with lovely countryside of heathery hill and Scots pines all round. 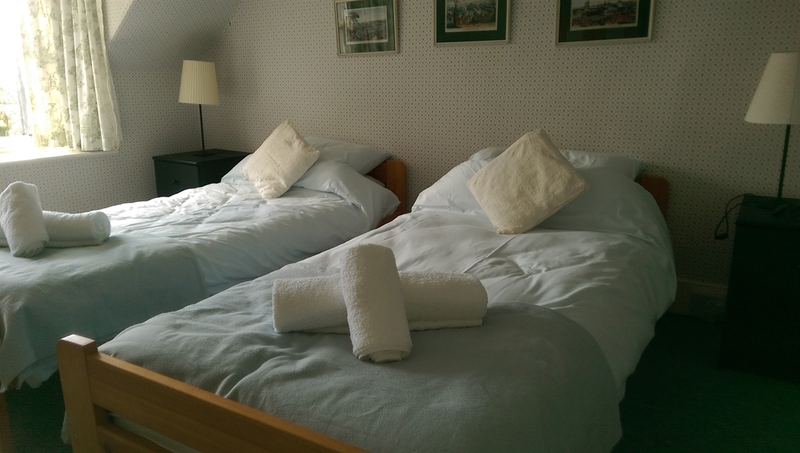 It offers an interesting and relaxing holiday to those who would like to be away from it all and enjoy experiencing life on a true Scottish Highland Estate. Visitors have access to private loch fishing in addition to hill walking and an abundance of wildlife. 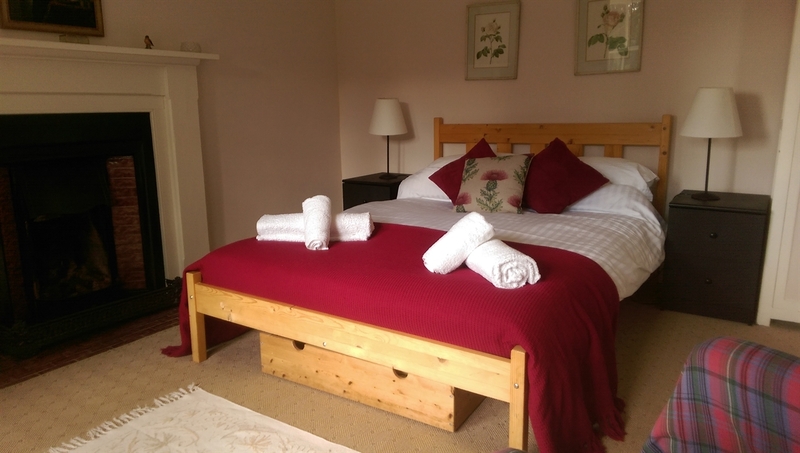 Inside the cottage has loads of character and is simply yet comfortably furnished in a traditional style. 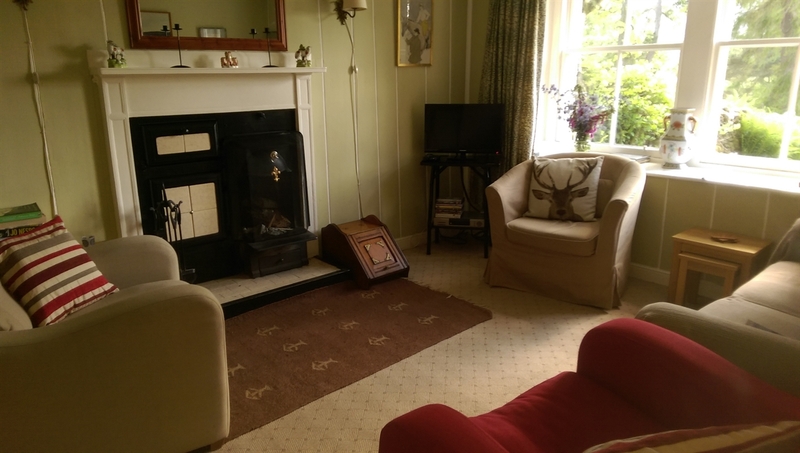 The cosy sitting room has a relaxing atmosphere with an original range fireplace and open fire. 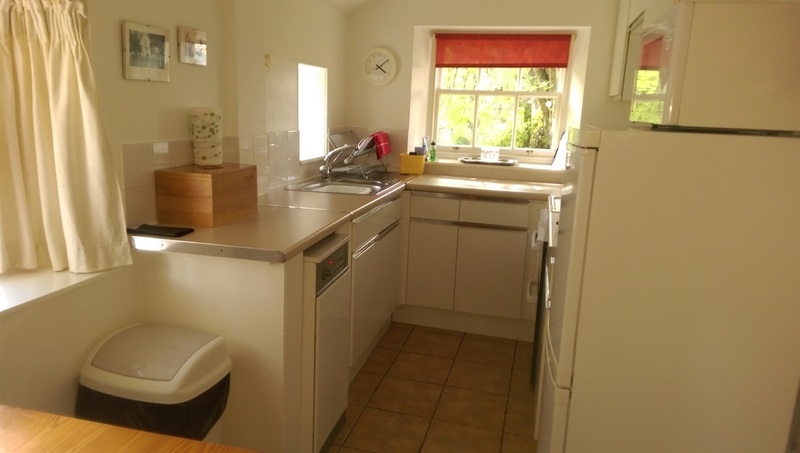 The kitchen is of galley style and has plenty of work surfaces and appliances with the dinning area at one end. 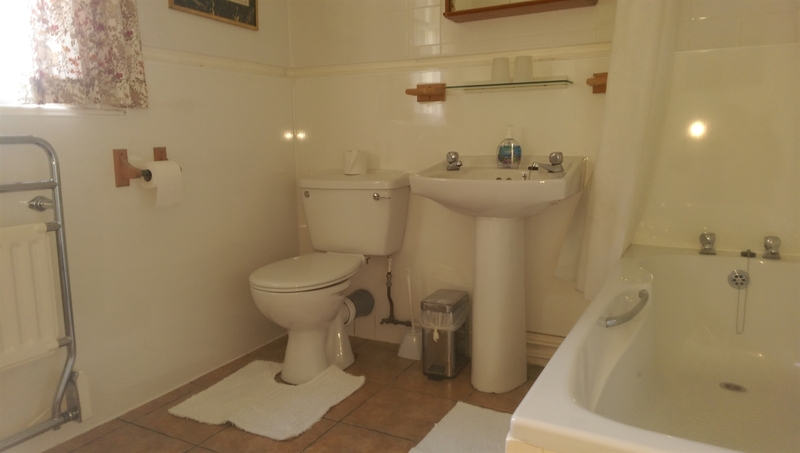 The double bedroom and bathroom are both downstairs, making this a suitable house for guests who prefere not to tackle steps. There is also a handy separate WC. 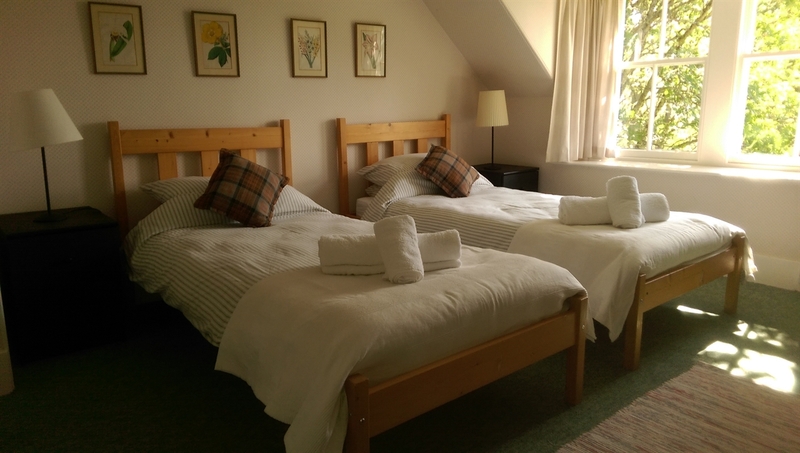 Upstairs are two twin bedrooms, both of which have dormer windows with lovely views to the front of the house. The furnishings are pleasingly traditional in style and in perfect keeping with this nature of house. Dave and Liz Shepherd, who look after The Keepers House, and the other holiday cottage, The Hirsel, will be your nearest neighbours. It really is a perfect spot for relaxing and walking out onto the wilderness. Through the windows you can watch for hours the many species of birds (if you feed them, they will come), the resident red squirels as they play and the deer quietly grazing in the woodland. Find yourself standing, listening to the silence, captured by the landscape and feel the magic of this wonderful estate. Other information :- The cottage has oil central heating and logs are suplied for the open fire. Electric is on a metre which requires one pound coins.